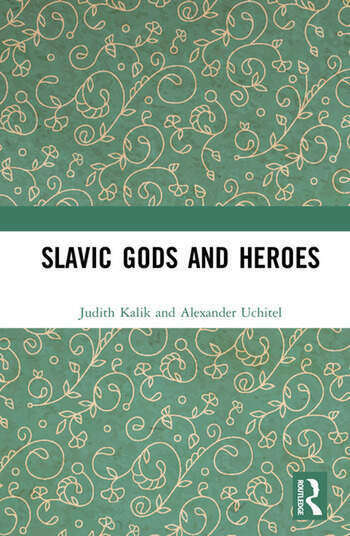 This book offers a radical reinterpretation of the Slavic pagan religion made on the basis of a thorough re-examination of all reliable sources. What did Slavic pagan religion have in common with the Afro-American cult of voodoo? Why were no Slavic gods mentioned before the mid-tenth century, and why were there no Slavic gods at all between the Dnieper and the Oder? Why were Slavic foundation legends similar to the totemic myths of the nomadic peoples of the Eurasian Steppe, and who were Slavic Remus and Romulus? What were the Indo-European roots of Slavic hippomantic rituals, and where was the Eastern Slavic dragon Zmey Gorynych born? Answers to these and many other provocative questions can be found in this book. Judith Kalik teaches East European history at the Hebrew University of Jerusalem. She has written extensively on the inter-religious encounters in Eastern Europe from the early Middle Ages to the early twentieth century. Alexander Uchitel taught ancient history at the Hebrew University of Jerusalem and University of Haifa between 1985 and 2017. He is the author of numerous articles on diverse subjects related to the history and philology of ancient Greece and the ancient Near East.